One would like to thank everyone who backed the team during Movember. Pictured here are members of our Civil and Structural team following their 30 days of facial growth. We are pleased to say that as well as increasing awareness, the team also raised £684 for the fight against Testicular Cancer, Prostrate Cancer, Suicide Prevention and for Men’s Health. 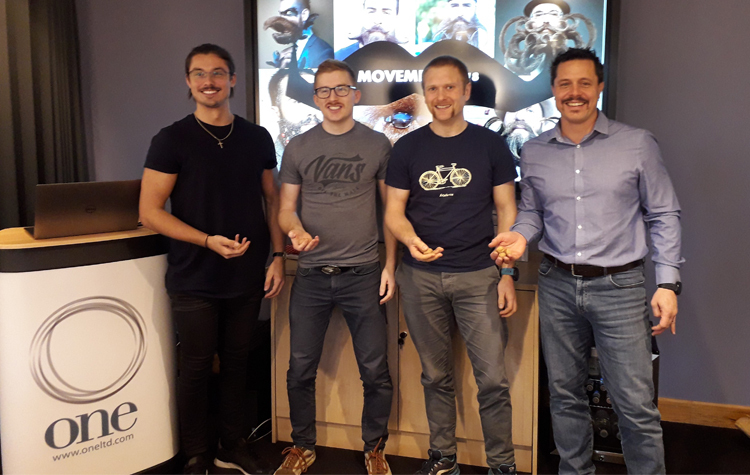 On Friday (30 November) an awareness session for staff was held on men’s health as well as a cake sale with the proceeds being split between Movember and Decembeard. This has taken the total raised over the £700 mark and thank you to everyone who has donated. If you still wish to do so, the link is available here. During December, our Managing Director, Matt Tebbatt, is representing One for Decembeard. Updates on Matt’s journey with bearded adornments will be available on our social media channels and a link to his JustGiving page is here. Thank you to everyone for your support during the festive season.